Our nation’s lethal opioid epidemic is reaching its tentacles right into our paychecks, as employers face rising health insurance costs that crimp their ability to give pay raises to the rest of us. This is happening even as we are being urged to carry overdose antidotes, just in case. The independent, nonpartisan Kaiser Family Foundation reported that its new analysis of large employer insurance claims shows that American businesses paid $2.6 billion in 2016 to treat opioid addiction and overdoses by their covered workers and dependents. That compares to $273 million in 2004, so it’s up ten-fold in a decade. The costs of caring for opioid abuse skyrocketed, even as employer health insurance saw sharp declines in the number and expense for prescriptions and use of powerful painkillers. Opioid abuse and overdoses — including for synthetic variants like fentanyl and illicit drugs like heroin —is blamed for 100 deaths a day now and may claim as many as 650,000 American lives in the next decade– the current population of Baltimore. The Kaiser Foundation research details the blow opioids have struck for companies, as they pay for their older workers prescriptions for pain relief with the drugs and for addiction treatment for younger workers and employees’ children. Opioid usage, as the Fierce Health Care news site reported, historically has been associated with older Americans, and the Kaiser study found that 22 percent of people aged 55 to 64 had at least one prescription in 2016. This may not be good, but it is an improvement, as the study found that the share of patients with employer coverage taking opioids by prescription has declined to its lowest levels in a decade. But at the same time, opioid addiction has become a notable burden for employer health insurance programs, as Kaiser found that 37 percent of the nonelderly with an opioid addiction are covered by private insurance, while 38 percent of these troubled individuals have Medicaid coverage, while 17 percent have no coverage at all. More than half of employers’ addiction coverage costs went to treat employees’ children in 2016. Because many companies self-insure — they carry some of the risk and set aside money to pay some costs to help keep down costs of health coverages for their employees — added expenses for items like paying for opioid prescribing and addiction can be significant. These also get passed on to workers, sometimes in higher coverage costs or even in reduced pay raises. USA Today reported that Steve Wojcik of the National Business Group on Health estimated that for every $5 increase in health care costs, employers typically cover $4 and pass $1 to workers. In my practice, I see not only the huge harms that patients suffer while seeking medical services but also the havoc that can be wreaked on them by dangerous drugs, especially and increasingly by opioid abuse and addiction. Doctors and hospitals must step up their efforts to curb this crisis which they, Big Pharma, and insurers all have helped to create. Sadly, companies and individuals are getting called on, too, to battle opioids’ harms. This includes an unusual call by U.S. Surgeon General Jerome Adams for more ordinary Americans, particularly those with family or friends with opioid addictions, to carry and be prepared to administer naxalone, a lifesaving, opioid anti-overdose medication. 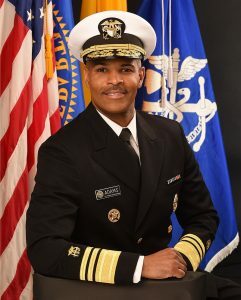 Although some may flinch at the notion of giving a naxalone injection to assist in an opioid overdose, Adams — who has spoken out about his own sad family experience with drug addiction — likened it to family and friends who carry EpiPens and are prepared to help give adrenaline shots if patients experience extreme allergic reactions. He also has noted that this is an emergency response, and that he, other officials, and all Americans need to act in many other ways to end the opioid crisis. He’s spot on there.